We couldn’t let Social Work Month squeak past without a shout out to our school social workers who confront some of the most challenging issues facing students and their families. March is National Social Work Month and we wish to acknowledge and thank our team of dedicated school social workers! Learn more at http://www.gpaea.org/en/services/school_social_work/. 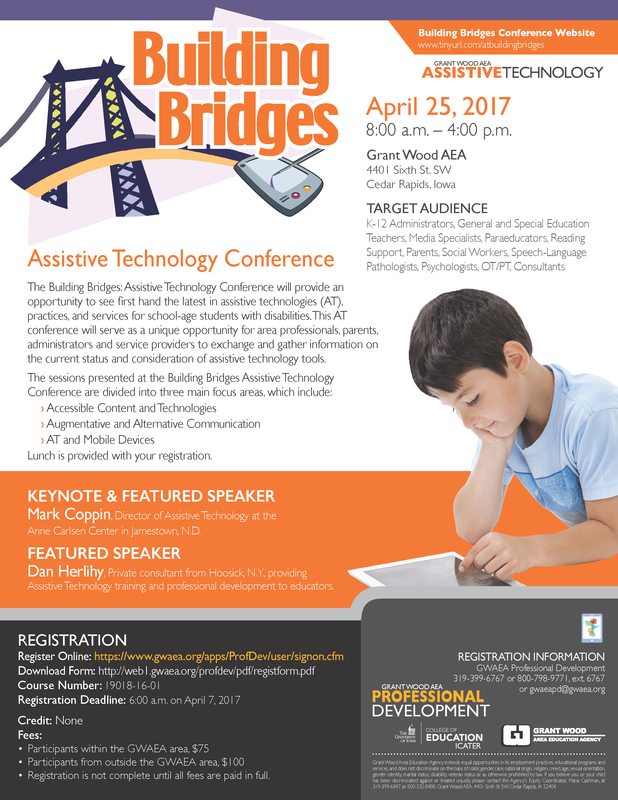 The “Building Bridges: Assistive Technology Conference” will provide an opportunity to see first-hand the latest in assistive technologies (AT), practices, and services for school-age students with disabilities. 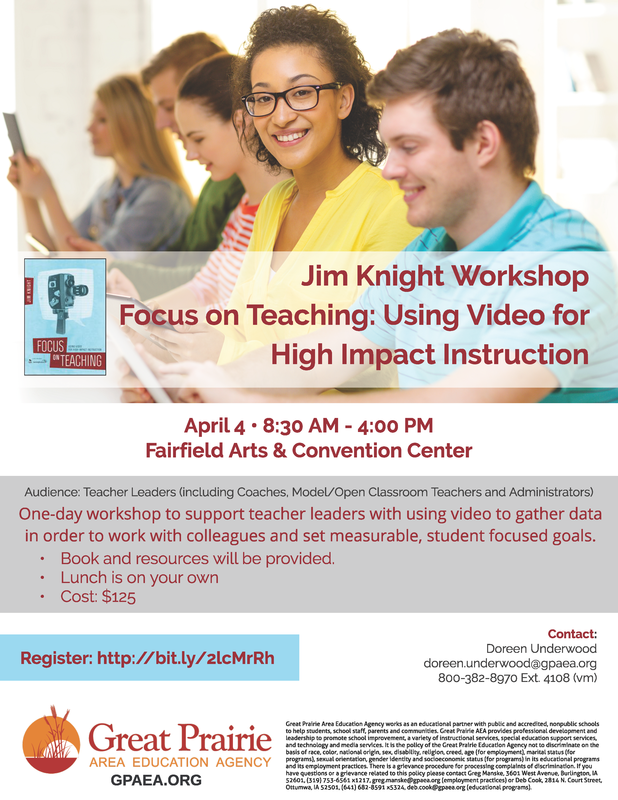 This AT conference will serve as a unique opportunity for area professionals, parents, administrators and service providers to exchange and gather information on the current status and consideration of assistive technology tools. There is no Van Delivery this week, March 20-24, due to Spring Break. We are sorry for any inconvenience. 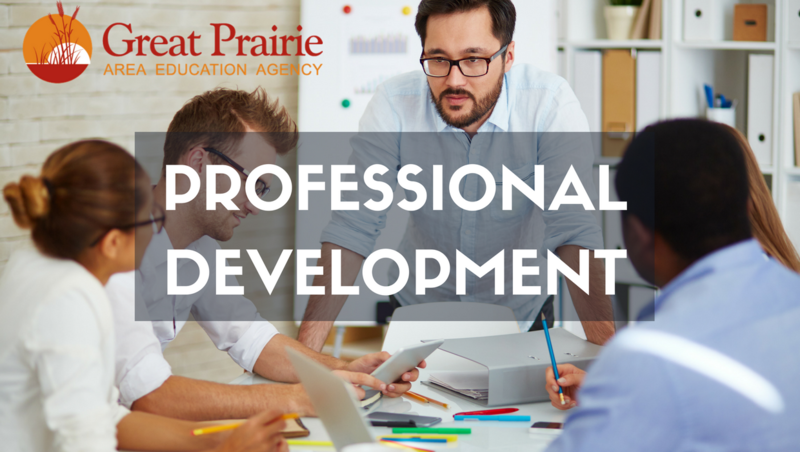 Check our Course Catalog for updates and more PD opportunities at http://www.gpaea.org/en/professional_development/gpaea_pd_course_catalog/. A huge thank you to everyone who helped make the Assistive Technology a success in both Burlington & Ottumwa! Learn more about AT services from GPAEA at http://www.gpaea.org/en/services/assistive_technology/. Click here to view original release from the Iowa Department of Education. DES MOINES – A statewide effort by Iowa schools to catch and correct reading problems in students early on is showing progress, according to a new policy brief released today by the Iowa Department of Education. Nearly 9,000 students in kindergarten through third grade who had fallen short of benchmarks in reading in the fall of 2015 met or surpassed benchmarks by the spring of 2016, an increase of 4.2 percentage points. Increases in the highest-growth school districts ranged from 19.5 to 32.2 percentage points. Iowa Department of Education leaders today announced the results of the policy brief and celebrated the growth and progress in early literacy statewide. They were joined by Jane Lindaman, superintendent of the Waterloo Community School District, Tynne Sulser, a third-grade teacher in the Centerville Community School District, and Mark Crady, who represented Iowa’s area education agencies. While the ability to read is important at all levels, research shows third grade is an important gateway grade, when children transition from “learning to read” and begin “reading to learn.” Early reading difficulties have been linked to long-term consequences, such as dropping out of school. Iowa’s reading scores on state and national assessments have stagnated for years, and nearly one in four third-grade students is not proficient in reading. The Iowa Legislature passed a law in 2012 that focuses on making sure all students are reading at grade level by the end of third grade. A key part of the law is an early warning system to help educators identify and intervene with students in kindergarten through third grade who are at risk for reading failure. Through the system, schools screen students in kindergarten through third grade three times a year – fall, winter and spring – to identify children at risk, to provide additional reading instruction and to monitor their progress. Iowa’s early warning system was implemented through a partnership between the Iowa Department of Education, area education agencies, and school districts. 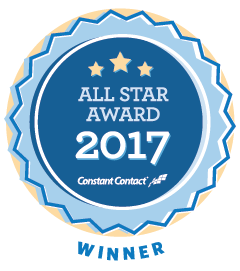 Of 398 public school districts and nonpublic schools using the early warning system, 60.8 percent (242) saw an increase in the percentage of students in kindergarten through third grade at or above benchmark from fall 2015 to spring 2016. Fifty-three school districts showed double-digit percentage increases in results from fall to spring. Of Iowa’s urban school districts, the Waterloo Community School District demonstrated the largest growth, with a 14.6 percentage-point increase from fall 2015 to spring 2016. The growth and progress from Iowa’s screening assessments are expected to translate to large-scale standardized tests in reading, such as the state assessment or the National Assessment of Educational Progress (NAEP), once all students have taken them. Only about a quarter of students who have been screened through the early warning system have also taken the state assessment, which is administered to students for the first time in third grade. NAEP is taken for the first time in fourth grade. For more information about Iowa’s early literacy law, visit the Iowa Department of Education’s website.